The 15-story hotel, formerly known as the L'Enfant Plaza Hotel, returns with 367 rooms and 23,000 square feet of meeting and event space. WASHINGTON — After sitting vacant for nearly six years, the former L’Enfant Plaza Hotel is set for its grand reopening as the Hilton Washington DC National Mall. The 15-story hotel comes back with 367 rooms and 23,000 square feet of meeting and event space. The hotel, directly above the L’Enfant Plaza Metro station, underwent a renovation that took over one year. It will be home to a French-inspired restaurant, the L’Enfant Bar & Grill, and a lobby bar serving local beers and curated wines. There’s also a Starbucks and a grab-and-go market. For warmer days, there’s a rooftop pool with fire pit, cabanas and a bar. 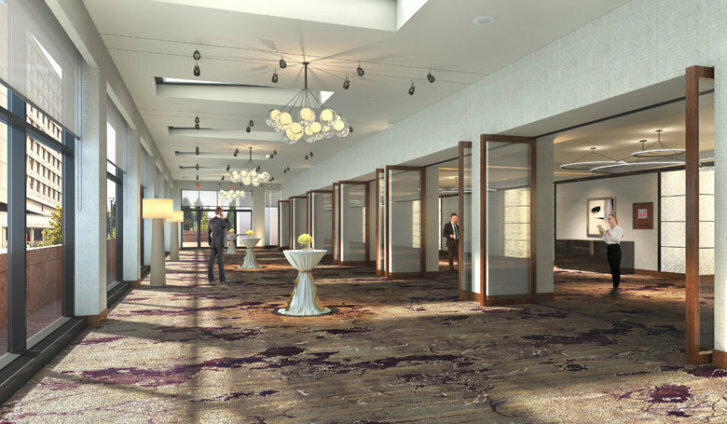 For fancier events and meetings, the new hotel offers a ground-floor ballroom and a second-floor gallery ballroom, as well as a solarium and other meeting spaces. Hilton said it will also be the first hotel in D.C. with exclusively King Deluxe beds in every room, including 50 executive guest rooms, an ambassador suite and a presidential suite. The hotel is within walking distance of several attractions, including The Wharf on the Southwest Waterfront and the Spy Museum’s new location in the plaza.